When I experienced two years of psychosis early during my career as a mental health counselor, I was already getting good at managing trauma with my master’s level training. I always been pretty good at being safe for others. I wanted some of that trauma support when I found myself confined to a ward on a State Hospital. I knew I needed to establish safety with someone but couldn’t find anyone who would deal with me. Instead, no one treated me as though I was traumatized because they didn’t want to reinforce my delusions. This only made the trauma of what I experienced worse. Invariably, hospital workers were punitive and denied anything unjust was happening to me at all. Because I worked tirelessly and had family support, I was able to return to my career in mental health. I got my psychotherapy license ten years ago and since that time I have worked to create trauma-sensitive treatment to address the needs of individuals who experience psychosis. Here, I intend to convey two trauma-sensitive solutions I have developed, working with people in groups and in individual treatment. It’s true that it is hard to establish safety with someone when they think they are being followed. I felt I was being followed by the mafia via government surveillance; others feel they are in miraculous communion with a spirit world. Any therapist who works with individuals who have experienced psychosis can tell you that trust with any such prototype takes time. However, too many practitioners do not feel that the stories of psychosis are worth engaging for the simple reason they might have delusions in them! It’s true delusional ideas can cause a great deal of problems. For example, maybe the police didn’t really taunt me like I reported they did when they bruised my wrists. Maybe I was too hard on the pony-tailed man who wouldn’t give me food and testified against me at my competency diagnosing me with schizophrenia. Maybe I wasn’t really being followed by the FBI like I thought I was. Maybe I was delusional when I said I leaked information from the section 8 housing authority I was working for. All that I knew for sure was that nobody cared to listen. I was on my own for quite some time. Many practitioners reason that they don’t want to reinforce anything that isn’t real. Instead, the best practice, CBT for Psychosis, directs the clinician to separate their reality from the sufferer and teach the sufferer to evaluate their thoughts to make sure they are rational. I believe CBT for Psychosis may work at times. In fact, think there comes a time when cognitive therapy is necessary for rehabilitation. However, there are times this single strategy may not address trauma involved with the experiences of psychosis. In contrast, I have had significant success in working with people with psychosis by finding powerful ways to validate the contents of an individuals’ psychosis to address real trauma that may have transpired. This approach is increasingly accepted now thanks to the spread of the hearing voices network support groups. Indeed, I have found that providing group support that allows people to explore psychosis, to be very helpful. Increasingly research is proving to validate the idea that treating psychosis as you would a trauma results in far better outcomes. Of course, some might argue that the hearing voices network does not have a clear methodology for how to validate delusions when they are not caused by voices. It’s true that, some delusions are hard to validate in a genuine manner. For example, many people who hear voices believe that other people are hearing what they are hearing. Such individuals may accuse the practitioner or group leader of many things that they aren’t responsible for, making therapy and group sustainability a challenging endeavor. My own experience in therapy was a nightmare because my therapist didn’t believe me. Thousands of dollars were spent and not an ounce of trust was achieved. I have found it’s possible to validate things that aren’t true; however, I have had to take apart the delusional experience and look at them with a microscope. Then, I have found it is possible to validate a part of the psychosis process without validating all the mistakes that happen. For starters, I coined the term special messages to describe experiences that trigger an alternative way of taking in information and connecting with the world. Thus, not only voices but other meaningful experiences like intuition, dreams, interpersonal interactions, and coded realities from media can trigger alternative views about reality. Then, I developed seven other code words to represent distinct aspects of sufferers’ experiences. In sum, if the sufferer can become more aware of the process of what they are doing during a psychosis process and the way this process relates to fellow sufferers, they can become more mindful and validated and heal from trauma. Message mindfulness happens when the person in psychosis learns to see their process by describing it to another person or by hearing similar process that they can relate to in a group. I have found that people in psychosis can often recognize delusions when they are listening to someone. However, when they are not mindful of special messages, they react and cannot see their own process as being potentially delusional. I believe that when message receivers become mindful of what is happening to them and their peers, they go towards experiences that terrorize, anger or excite them. Then they can acknowledge their emotions in a way that can help them let go of those triggering special message experiences. With awareness, those special message experiences become less judged and easier to let go of without having emotions and thoughts spike. And the sufferer can then acknowledge that they often will be right but don’t necessarily have the evidence to presume that their special messages are accurate all the time. 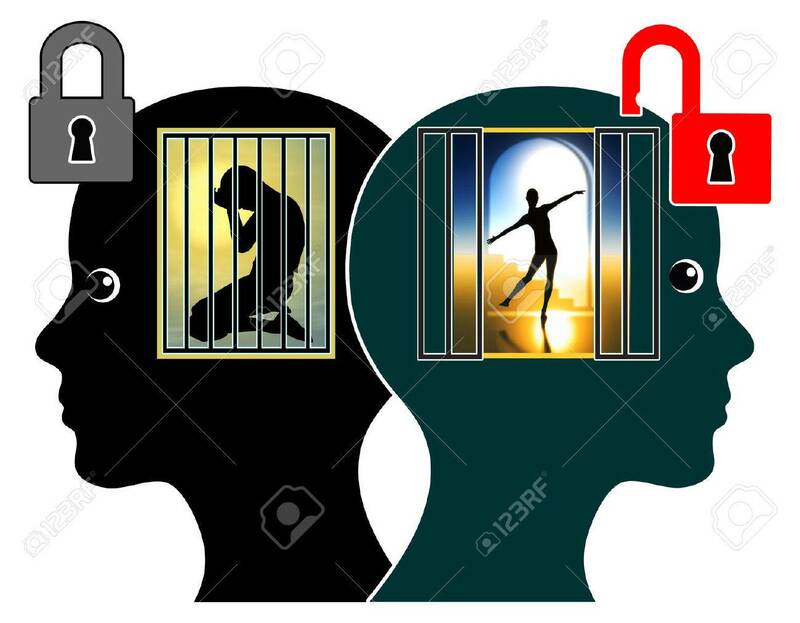 Helping a sufferer or message receiver become mindful of the experiences that give rise to alternate thoughts or what I call divergent views is not an easy process and can take time. Indeed, message receivers who listen and learn from each other are better able to admit that some special messages may turn out to be true and others false. Still, they can all be considered real and can be validated and better observed by the people who get them. Plus, becoming increasingly mindful of other message processes can significantly help a body reconcile with the ways they were wrong and had their emotions spike needlessly. A second trauma informed solution that has resulted from redefining psychosis into eight components, is to distract from distress when emotions spike by completing mastery tasks. I call these mastery tasks, recovery and reality tasks. In this process, high emotions are soothed by what I have termed the act of sleuthing. Sleuthing is the act of collecting a series of messages and to trying to figure out what is really going on. This leads to all kinds of thoughts about the way the world works (divergent views.) Then, divergent views cause the message receiver to sleuth again and be on the lookout for more special message experiences. Thus, the message receiver often gets more different types of messages until they become entirely preoccupied with distressing or enthralling special message material. Therefore, I believe that distracting from sleuthing by completing mastery tasks may significantly reduce distressing and intense emotions. When the message receiver sits and sleuths all day they expend a great deal of emotional energy without accomplishing anything. Then, social workers or supporters are more likely to push for warehousing them. However, to distract from sleuthing, the message receiver needs to practice and strengthen the skill of distracting. Often, distracting efforts go unacknowledged by others because they are judged negatively in comparison to what could otherwise be accomplished. At first, in my beliefs, the message receiver needs to accept and be supported for basic actions that are productive. Thus, appreciating mastery tasks as helpful for wellness and supporting them regardless of their social standing is another way to validate and support message receivers. Moving through trauma in such a manner beats being isolated, locked up, or restrained, which teaches the message receiver a great deal of helplessness. Nothing could discourage mastery tasks more. Indeed, these kinds of traumatizing events make message receivers less mindful and elevate the unreasonable expectation that special messages be suppressed.